Once again Gosse traveled to Switzerland for another CX-race. This time he was at the start line of the Flückiger Cross Madiswil. A hard and technical parcours was waiting for the riders in Madiswil. Gosse had a good start and was in the top-10 immediately. During the race he managed to gain some positions. Eventually he finished in 7th place, his fourth top-10 result of the European season. “I am satisfied with the 7th spot today after a difficult period at school and already looking forward to the upcoming weekend! Just happy that the good feeling is back. I am looking forward to work hard to get faster”, Gosse commented after the race. Next weekend Gosse will have a double race weekend. 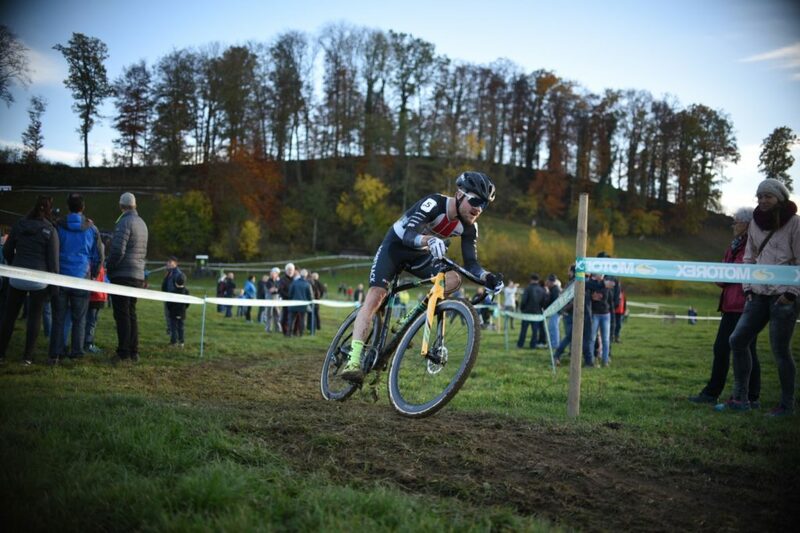 Saturday he will compete in the UCI World Cup of Tabor, followed by the fourth EKZ Cross Tour race in Hittnau. Elisa Haumesser made some great photos of the race. Check them out in our photo-album.